A smallholder has been jailed for ’dreadful’ safety breaches which led to a young farm helper to be dragged to her death by her long hair and loose clothing. 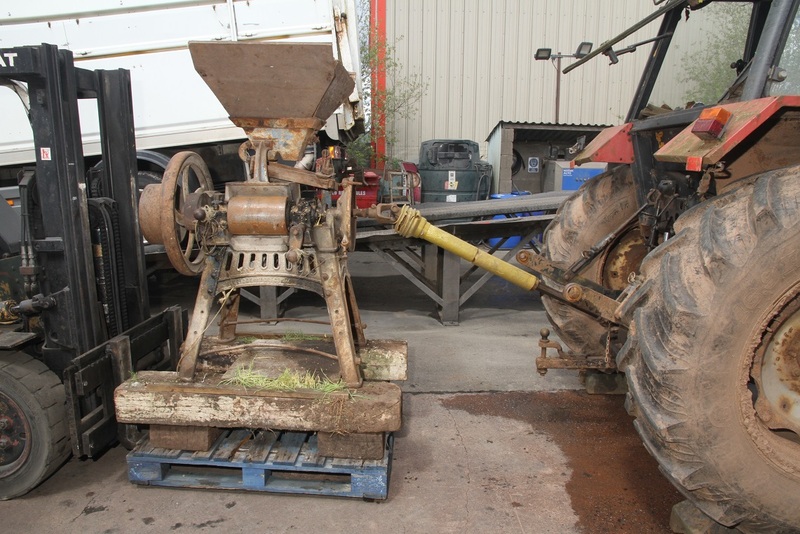 Neil Carpenter was working with 20-year-old Lauren Scott when she was trapped in an unprotected drive shaft that was being used to power a 19th century milling machine on his farm in Dawlish, Devon. He tried to talk his way out of trouble but a video which Lauren shot on her phone just 28 minutes earlier proved his story was a lie. 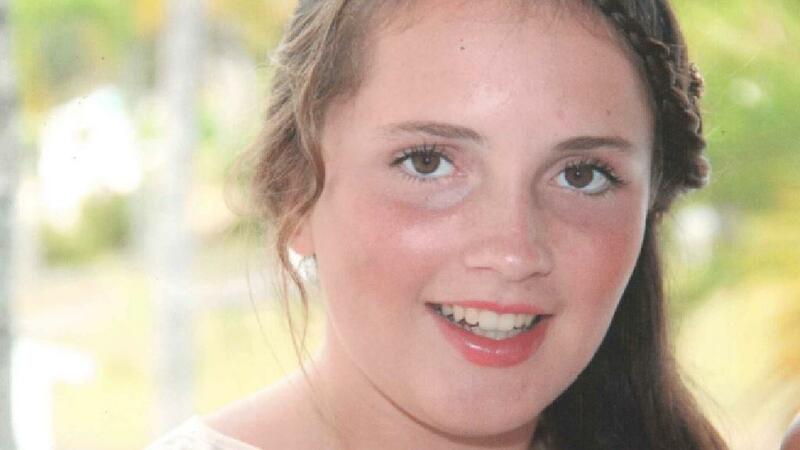 Lauren suffered fatal injuries after being pulled into the shaft which was being used to connect a tractor engine to the mill, which she was using to prepare feed for livestock. Carpenter claimed he had no idea she was using the mill but a video shot just minutes before her death showed him climbing onto the tractor and starting its engine. Lauren was standing on a trailer loading grain into the top of the mill but either got down to check the machine or fell off and was dragged into the shaft. The force of the accident stripped off most of her clothes and one of her Wellington boots and her half naked body was left lying in mud. The power-drive linking the tractor to the to mill, known as a PTO or power take off, should have been sealed inside a protective cover but was not. It would have cost just £75 to replace the cover and make it safe. About two thirds of the shaft were covered by a piece of old yellow plastic but it was cracked and the remaining third was completely unprotected. This meant that the metal drive, which was rotating at 540 rpm, was uncovered and liable snare anyone who came close to it. Carpenter told police and health and safety inspectors he had been working elsewhere on the farm and had no idea Lauren had rigged up the PTO and the mill until he heard a bang and found her seriously injured at 1.17 pm on March 4 last year. A video shot by Lauren of her feeding pigs at 12.49 pm showed him in the background, climbing onto the Red Case tractor and starting the engine which was connected to the PTO. He claimed he banned anyone else from using the PTO and only did so himself when he had set up a hurdles around it to keep people away. Lauren, who loved animals and worked full time at Powderham Castle’s Secret Garden, died while working without pay on Carpenter’s 55 acre smallholding at Springfield Farm, Dawlish. She had completed a two-year course in equine care at Bicton Agricultural College in East Devon and also worked as a horse catcher at Newton Abbot races. Her ambition was to have her own farm in the future and in a moving personal statement her mother Nicola said: "She has been cheated of her wonderful life." He was jailed for four and a half years by Judge Mr Justice Dingemans at Exeter Crown Court, who said Carpenter had lied about the true circumstances of the accident because he had panicked and could not face up to his role in the death. He said it was clear that Carpenter had set up and started operating the PTO and mill and that Lauren had taken over ’in her normal helpful way’. The judge said Carpenter had ’not processed’ the risk posed by the broken PTO and that his decision not to spend £75 on a new cover was not motivated by cost saving. He told him:"I accept your remorse is genuine and that you attempted to assist Miss Scott after this dreadful entanglement. The judge praised the investigations by the police and HSE and ordered the broken PTO shaft should be used by safety experts to educate other farmers about the dangers of using faulty equipment. Mr Ben Compton, QC, defending, said Carpenter had tried to save Lauren at the time and has shown genuine remorse ever since. He said he had never run the farm for profit and had helped thousands of members of the public by inviting them to open days or charity events, as well as running hog roasts for charities. He had full time other jobs as a local government officer and a parking officer but still devoted 80 hours a week to the farm. He had been so busy he failed to appreciate his safety responsibilities. Mr Compton said:"One cannot imagine what he went through and felt when he was trying to help the victim. I understand that the damage and loss to Lauren’s family has been immeasurable, but he has been broken by this experience. "The dream of this farm is over, or at least it will never be the same after this tragedy. What he saw and witnessed will stay with him for the rest of his life." The police and Lauren’s family welcomed the verdict and sentence and said they hoped the case will act as a warning to other farmers. Senior Investigating Officer, Detective Inspector Steve Davies said: “Neil Carpenter ran his farm with a complete disrespect for safety and which ultimately cost the life of Lauren Scott. His basic approach to health and safety showed a flagrant disregard for regulations that are there to protect individuals working at farms from injury and death. “During the investigation and trial he has distanced himself from any responsibility for Laurens death and from the outset gave information that was inconsistent and eventually proved to be lies. His defence was that he had not been near the mill that day and that Lauren used it without his knowledge. "The Police suspected that he had been using the mill and had asked Lauren to help him. My team carried out a detailed and thorough investigation with the key evidence being a video found on Lauren’s phone. “The video was taken by Lauren whilst she was feeding pigs on the farm less than 30 minutes before the tragedy occurred. This video was examined by image and sound experts. By unbelievable chance about 2 seconds of Laurens video caught the tractor in the distant background. “The expert work concluded that not only was there someone in that tractor but also sound of the engine starting up. With only Lauren and Carpenter at the farm the only logical explanation with Lauren making the video was that this person had to be Carpenter and that he had lied about using the mill. “Though he accepted it could be him he never gave an explanation stating to prosecuting barrister Mr David Sapiecha he could not remember. In the end the jury have accepted that Mr Carpenter was grossly negligent for Laurens death. “While no verdict will ever bring our sister back, we have placed our trust in the criminal justice system, and today over one year and eight months since Lauren’s passing, we are finally able to grieve, safe in the knowledge that her death wasn’t through fault of her own, but due to a careless disregard for the simplest of health and safety measures. “As was highlighted on numerous occasions throughout the trial, the presence of a £75 PTO cover would have ensured Lauren to still be with us today. “Let this ruling be a message to every person working within the agriculture industry. Your health and safety in the workplace matters, and you shouldn’t expect anything less than the highest regard for your welfare while at work. “We would also like to extend our thanks to those working for and with us, from both Devon & Cornwall police and the Crown prosecution legal team, whom without their diligent service and commitment to seeking justice for Lauren, today’s verdict would not have been possible. “At only 20 years of age our sister has been taken from us far too soon, but our grief aside, today our thoughts are with Lauren herself. Lauren has been deprived of a long and prosperous life, deprived of raising a family of her own, and to experience all that life would have offered her. “At the centre of this trial was the grossly inadequate guarding of a Power Take Off (PTO) shaft’. It is now over 60 years since the law was introduced requiring guarding on PTOs. The guarding standards on a PTO are easily understood and haven’t changed in all of those 60 years. “It is inconceivable that a farmer such as Neil Carpenter would not know what those standards were and what the horrific consequences would have been if anyone became entangled on a PTO on his farm. “The guarding on this PTO was utterly appalling. Had it been properly guarded then Lauren Scott would not have been able to become entangled; such a guard would have cost as little as £75.